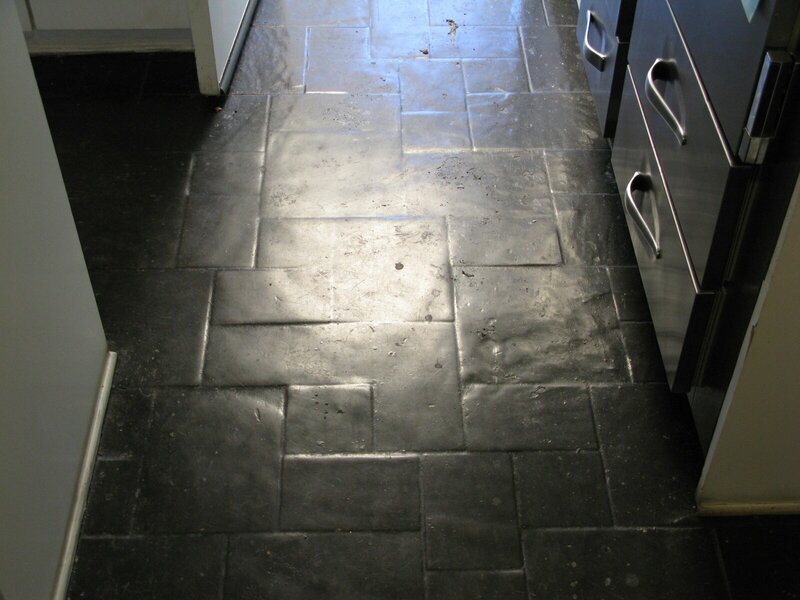 This slate floor has obviously been waxed for a few years and is in need of stone refinishing. It looks as though whoever waxed it forgot to clean it first? 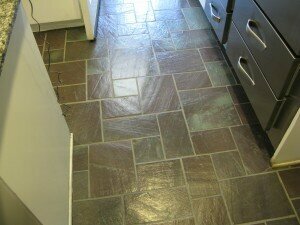 The owner has had enough and wanted to strip and re-seal this beautiful slate. We used a high pH stripper…a couple of time to remove all of the old coating and resealed the floor with a high quality topical stone sealer. The key is to fully remove all of the existing coating and thoroughly clean the floor prior to applying a new floor finish.